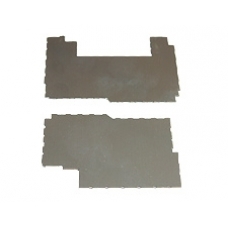 Original replacement Apple 3G iPhone metal logic board covers, if you have lost or damaged the metal covers which protect the logic board from heat or water during a repair then these are the replacement parts you require. * Original Apple iPhone 3G Part. * Includes Both Metal Covers.